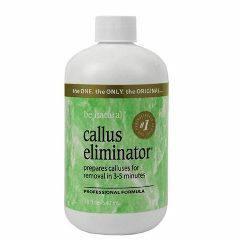 Breaks down unsightly calluses in just 3 to 5 minutes. Then you simply file or buff them away. 18 oz. bottle.